Did PM Modi avoid meeting Walmart CEO Doug McMillon due to bribery probe? 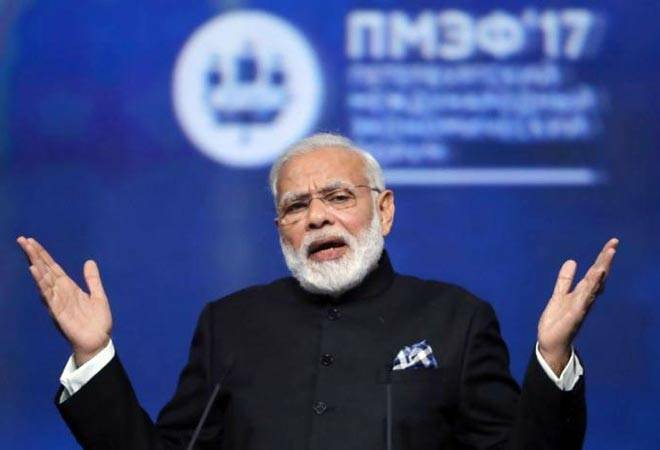 According to some sources, close to the Prime Minister, he avoided meeting the CEO because of the ongoing proceedings against the global retail company in the US. In 2015, the reports suggested that Walmart paid bribes -from $5 to $200, totally millions - to push their goods and real estate permits. Amidst much fanfare around the Walmart-Flipkart deal, a question which has been niggling at the back of everyone's mind is: Why did PM Narendra Modi avoid the meeting with Walmart's global CEO Carl Douglas McMillon? Not only the Prime Minister, but the commerce minister Suresh Prabhu, too, cancelled the appointment with top Walmart officials at last minute. It is expected that the department might give final order by end of May this year. The PMO got a timely alert from the Indian embassy in Washington, alerting them about the proceedings of the case. Sources told Business Today, that PM Modi is avoiding the meetings with 'controversial CEOs' or leaders of 'controversial companies'. Recently, PM Modi also cold shouldered Canada's PM Justin Trudeau, at his last tour to India, apparently because of his coziness with the Sikh separatists back home. Recently, the Prime Minister also refused meeting with another US based former CEO of big IT company, who is also into philanthropic activities. Not only the Prime Minister, the other officials are also keeping quite on the issue. So far there have been only two statements on the development: both are coming from NITI Aayog officials, CEO Amitabh Kant and Vice Chairman Rajiv Kumar, and technically both are not part of 'concerned authority', as far as the decision goes. At the editors' roundtable hours before flying back home, McMillon told Business Today, "I didn't really take it that way at all. We meet with the government at all kinds of levels all the time and have met before and am sure will meet again. We meet at state level as well as national level here and in other countries. We meet with NGOs, academics, senior people. I haven't had any concerns about the support. I think this investment is good for the country and I think people generally realize that. So I haven't given it that much of a thought." He further downplayed the cold shoulder, "We're not really new to the country. That's not the most important thing. We don't really need a photo-op." In June last year, PM Modi met McMillon in Washington along with 20 other top US-based CEOs, including Tim Cook of Apple, Caterpillar's Jim Umpleby, Google's Sundar Pichai, Microsoft's Satya Nadella et al. But obviously there was much more to it this time. In May last year, Walmart Stores Inc offered to the Department of Justice payment of $283 million to settle the probe. The department and Securities and Exchange Commission however has sought more than $700 million. The order is expected by end of this month. A not so positive decision in this bribery case would mean that it would be tougher for the company to get regulatory and other approvals for the deal, to sail through. Suresh Prabhu-led commerce ministry has already formed a group of officials to study the deal's structure. Similarly, Arun Jaitley-led Finance Ministry is also getting into huddle to study the tax compliance issues. The settlement of this probe will require conviction or guilty plea from at least one subsidiary of Walmart Stores Inc, to absolve the parent company out of the implications of the bribery charges. This means, Walmart India, in case of the Indian subsidiary. There were also allegations that their Indian outfit lobbied with the establishment to seek permissions to open up for foreign direct investment, or FDI in the multi-brand stores. Justice Mukul Mudgal committee probed the allegations and submitted the report. In 2013, Walmart severed with their JV with Bharti Enterprises, and the government is refusing to liberalise the foreign investment rules for the stores. Bharti merged its store chain in May 2015 with Kishore Biyani's Future Group and Walmart India runs the wholesale-store chain as a fully-owned subsidiary. Interestingly, the recent definitive deal with Flipkart is been entered with the Walmart Stores Inc not the Walmart's India subsidiary. The heat generated out of Walmart's recent deal has already reached his office, after RSS affiliates including Swadeshi Jagran Manch, Bhartiya Mazdoor Sangh, Bharatiya Kissan Sangh, Grahak Panchayat, Laghu Udyog Bharati shot letters and statements showing their displeasure. "The deal is unethical, illegal and against the national interests," the affiliates resolved and conveyed it to the prime minister. "A photo-op would have angered them more," says an official close to the PM. Interestingly, both PM Modi and McMillon were camped in Karnataka - the Prime Minister is there for the state assembly polls, while Walmart CEO to close the Flipkart deal-but they still didn't meet. On May 29, BJP said its ministers will sit with the RSS officials at coordination meeting to discuss the issue. The top officials in the government are keeping a watch on the proceedings, because if convicted, it will be very difficult for the government and regulators to give their clearance amid 'proved corruption case'. "The conviction or settlement in the US will push India to step up the probe against Walmart's India subsidiary," the official told BT. Taking cognizance of the media reports back then, India through, Central Vigilance Commission (CVC) started probe under the provisions of prevention of corruption act, or PCA. CVC involved multilateral United Nations Conventions Against Corruption, or UNCAC to seek relevant details from the parent company in the US. But Walmart India moved Delhi High Court challenging the jurisdiction of the Indian commission. In 2011, the probe began under the provisions of Foreign Corrupt Practices Act (FCPA) in the US, after the allegations emerged out of Walmart's Mexico based outfit, that they paid bribes to government officials for securing the permissions to expand faster. The US authorities' probe found out that Walmart's other subsidiaries in India, Brazil and China also had the similar misconducts. "No deal is through till money is transferred and control is shifted," says a top BJP leader. Doug McMillon might have flown back home, but getting this deal through would be a tough task for him.